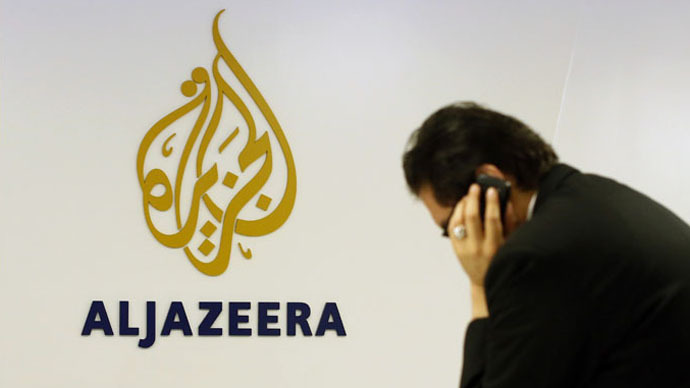 A veteran journalist who has interviewed Osama bin Laden and for years managed Al Jazeera’s news bureau in Islamabad, Pakistan, has been put on terrorist list by the United States, according to new documents. Top-secret national security documents obtained by The Intercept through former National Security Agency contractor Edward Snowden show that Ahmad Muaffaq Zaidan was the subject of American surveillance as recently as 2012. In June of that year, the NSA produced a classified presentation in which Zaidan appears listed as a member of both Al-Qaeda and the Muslim Brotherhood. Beneath his alleged affiliation with those groups, the NSA notes Zaidan also “works for Al Jazeera.” In the same slide, though, it also knows that the journalist is listed in TIDE: the “Terrorist Identities Datamart Environment” database maintained by the US. Speaking to The Intercept ahead of the outlet’s report on the slideshow, published Friday, Zaidan “absolutely” denied any membership with either Al-Qaeda or the Muslim Brotherhood, but acknowledged that his lengthy career in journalism has required him to view controversial figures throughout Afghanistan and Pakistan. Indeed, Zaidan interviewed bin Laden, the former Al-Qaeda leader, twice before the September 11, 2001 terror attacks and was later provided audio recordings through an apparent courier containing messages from the terrorist. According to The Intercept, the NSA slides that provide the fodder for their latest article relate to a US program named SKYNET. Through that endeavor, the intelligence community takes the metadata of phone call records already collected in bulk and analyzes them to infer suspicious activity. The slides published on Friday show that the NSA believed Zaidan was likely a member of Al Qaeda given that his movements, as revealed through metadata, resembled that of couriers used by the terrorist group. In the US, meanwhile, a federal appeals court ruled Thursday that the NSA was never authorized to collect metadata of American-placed phone calls pursuant to the government’s interpretation of a Patriot Act provision, also revealed through Snowden.